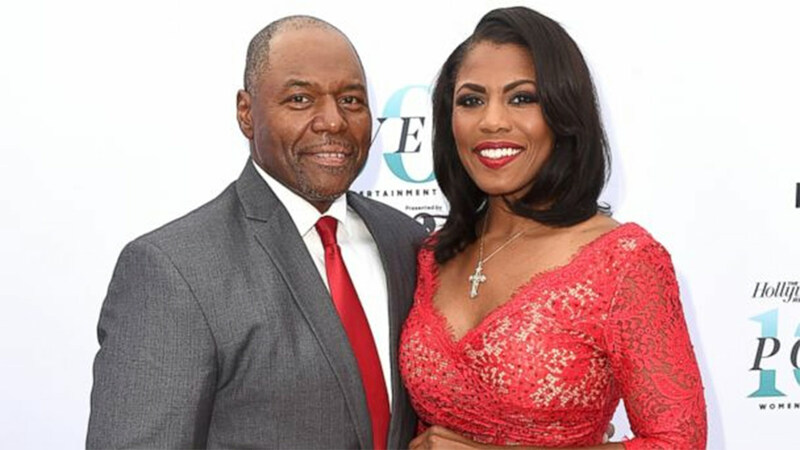 Omarosa Manigault wed Pastor John Allen Newman in a ceremony held today at the Trump International Hotel in Washington, D.C. The bride announced the news on Twitter with a photo of herself in a pale pink wedding gown, holding hands with the Jacksonville, Florida, pastor, who sported a brown suit with matching pink tie. She captioned the photo, "Just Married!" Manigault picked out her princess-style gown on the TLC hit reality show, "Say Yes to the Dress!" The "Real Housewives of Atlanta" star Phaedra Parks was among the attendees. Days earlier, Manigault, 43, shared photos from her bridal shower. The former "The Apprentice" star, who now serves as director of communications for the Office of Public Liaison, was surrounded by other White House staffers, including Kellyanne Conway. This is the second marriage for Manigault, who was previously married to Aaron Stallworth. The two split in 2005. She was also previously engaged to "The Green Mile" star Michael Clarke Duncan, who died in 2012 from a heart attack. He was 54.